Detroit Auto Show may be a more famous place than the Chicago Auto Show, but this is not the case when we count trucks only. Okay, this year’s NAIAS have hosted very big names such as the new Ram 1500, Chevy Silverado, and U.S. Ranger, so you are probably wondering what’s left for the windy city. Well, we know that GMC prepares its new half-ton pickup truck for the show. 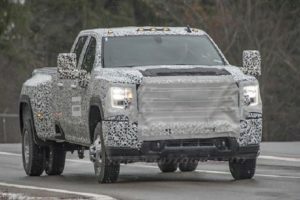 Moreover, the redesigned 2019 GMC Sierra 1500 has been spotted today on one of the final testings ahead of the official debut next month. The camouflaged prototype has been caught in Los Angeles this time. The sunny weather was the perfect opportunity to check out how the new truck stands the warm weather. 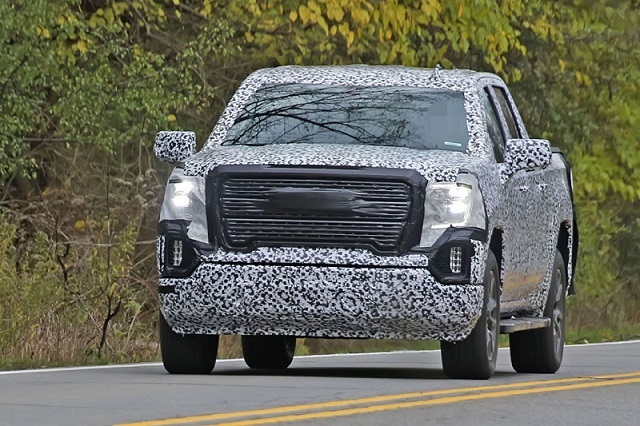 Since it’s still totally wrapped around, the 2019 Sierra 1500 is still hiding the new designs. Still, as far as we can see now, the workhorse will continue to use the identical components as the Chevrolet Silverado. The manufacturers claim otherwise, but that’s the fact. Moreover, aside from a few styling cues which are typical for GMC, the exterior treatment will be identical. The most evident difference between these two is the front end. In contrast to the Chevrolet’s half-ton truck which features pretty rounded face, the new Sierra 1500 will host a more squared design. The chunky face is so evident regardless of the camo. There is a rectangular grille, which is also a far more upright. It’s pretty much the same story with a pair of new headlights. Plus, they are slightly larger from Silverado’s new lights. 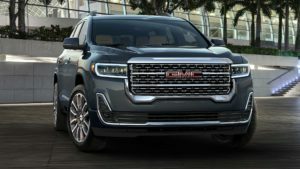 The 2019 GMC Sierra 1500 will also share the powertrains with the sibling from Chevrolet. Meaning, it’s going to host a pair of updated V8’s and an all-new 3.0-liter turbodiesel. V8 units, the 5.3-liter, and 6.2-liter are mated to a new technology, which is called Dynamic Fuel Management. By using the system, the engine is capable to shut down up to seven cylinders when they are unnecessary. This way, the truck saves a significant amount of fuel, which improves the efficiency of course. We don’t know the exact output figures at this point. However, we know for sure that the 6.2-liter V8 and the all-new 3.0-liter turbodiesel come exclusively paired with a new-in-house 10-speed automatic transmission. Plus, both options will use start-stop technology. The feature will be optional for the 5.3-liter mill, while the carmaker plans to use some other transmission for the engine as well. Stay tuned for updates from the 2018 Chicago Auto Show that starts in February.